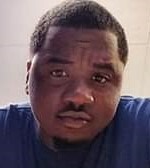 Obituary for Montrell Jordan McMullens | Genesis Funeral Services & Chapel Inc.
Montrell Jordan "The Boss Man" McMullens, age 23, of 1551 Overbrook Dr. Lot # 42 Gaffney, SC., transitioned this life on Saturday, January 19, 2019 in Gaffney, SC. He was born on May 23, 1995. He was preceded in death by his grandfather, Gary Downs Sr., an uncle, Demetri Downs, a father figure, Vic Watkins who raised him as a son. He leaves to cherish fond memories, his mother, Lakisha Black (Shamia Smith) of Gaffney, SC., three sisters, Keishona Black, his twin, Jantell McMullens and Shunyetta McMullens. Two brothers, Octavius McMullens and Nizarius McMullens. Grandparents, Mary Black Cooper (John Ray Cooper), Dorothy Black both of Shelby, NC. Two aunts, Ronisha Black, Felicia Black both of Shelby, NC., two uncles, Gary Downs Jr., Tyrone Downs both of Shelby, NC. Two great-aunts, Linda Perry(Roscoe), Delois Shade. Two great-uncle, Ricky Black, John Henry Black both of Shelby, NC. A special friend, Sade Jefferies. A host of relatives and friends. Funeral service will be 3:00 pm Saturday, January 26,2019 at The Limestone Baptist Church. Visitation will be 2:00 pm – 3:00 pm. The body will lie-in-state at 1:00 pm. Interment will follow at The Mt. Sinai Baptist Church Cemetery. Genesis Funeral Cremation Service & Chapel Inc. is serving the family.